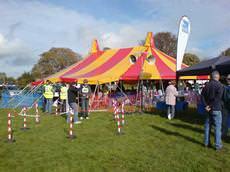 A page on TigerLocal will showcase your business to hundreds of local people looking for a marquee hire company. So you'll get serious enquiries from new customers. 1066 Marquees is set up as a family run business with a focus on building a personal and professional relationship with each and every client and understand that hiring a marquee is only one part of organising a successful event. 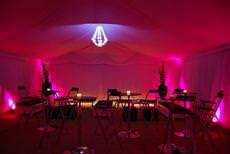 Marquee hire, event management and wedding planning services based in Brighton, East Sussex, specialising in corporate events, hospitality and wedding marquees. Marquee hire specialising in the new T-tent system. One of the first few of its type in the country giving an unique structure with maximum light. This, together with a full range of accessories to suit customer requirements. 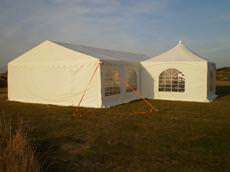 A A MARQUEES Ltd is a family run firm which specializes in high quality equipment for both the private and business sectors. 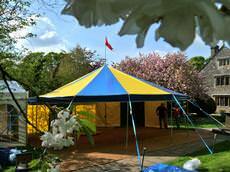 We supply marquees from garden party's of 20 guests to corporate events and music festivals. our staff are here to help and make your wedding or event special. Alpha hire offers the complete hire service for weddings, corporate hospitality, theme parties and much, much more. Our service starts with professional guidance and advice at the planning stage. 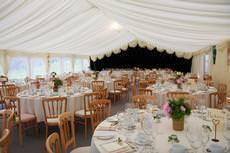 Anglia Coastal Marquees provide a high class of marquee hire throughout Suffolk, Norfolk and Essex. We have many different options of flooring, linings and window styles to suit your event and surroundings. 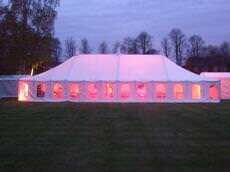 Two old school friends Paul and Guy supply contemporary marquees and tents for hire based in the Northampton area. 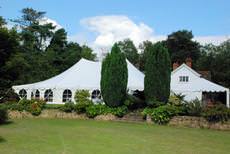 The marquees are the perfect setting for weddings, corporate events, parties and private functions. We are a family run business led by father and two daughters and took over Aries Leisure in 2007. We are proud of our achievements in the last 12 months and constantly introducing new products and creative ideas. We at Bees Marquees have a wealth of experience and knowledge in everything there is to know about marquee hire and temporary structures. At Bees we cater for all types of occasions and events, spanning the whole of the UK. Bigtopmania is a friendly, family owned company that has been in the marquee hire business for some years now but originally established in the Leisure and Events Business and Show Business world way back in 1987. 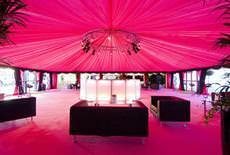 Black Cherry Events supply contemporary and stylish marquees for a host of small to medium sized events within the Yorkshire counties. Ideal for weddings, private parties and corporate events. Breeze Events proudly serves Bournemouth, Poole, Christchurch, Blandford and surrounding areas. 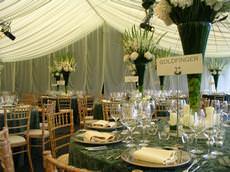 Our Luxury Marquees come complete with all the trimmings making Breeze Events a one stop shop! 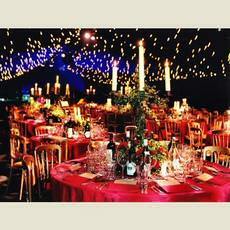 Camelot Marquees specialise in weddings and can offer our clients a seamless transaction from start to finish. We would love to provide you with a free, no obligation quote and look forward to hearing from you. 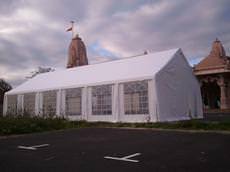 Carnival Marquees offer an alternative to hiring poplar frame or clearspan type marquee structures Marquees for hire in the West Midlands,Birmingham, Berkshire, Leicestershire, Northamptonshire, Oxford and Cheshire. Our experienced team offers a complete marquee hire solution from the initial planning to completion, including the size and style of your marquee, interior decorations and furniture. 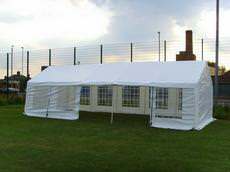 Make your Celebration of a Wedding, Corporate, Christening, Birthday, Bar Mitzvah or any Special Occasion you may have extra Special with a Celebration Marquee. 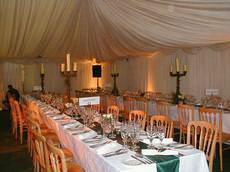 We have been established in the marquee hire business since 1981 and have provided marquees for hundreds of weddings, parties and corporate events including royalty and many famous clients. Chelsea Hire was established in 1992 by founders Colin and Margaret NewmanSince then, we've grown our business and managed our reputation carefully. 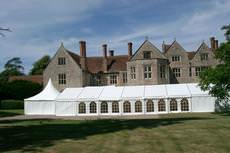 Countess Marquees has 25 years experience providing marquee hire for corporate, public and private events across the south east including London, Surrey, Essex, Kent, Hertfordshire, Sussex and Berkshire. 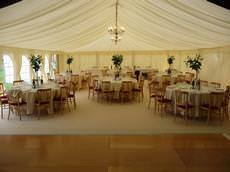 County marquees offers professional marquee hire for weddings, parties and corporate events in London and the South East UK. 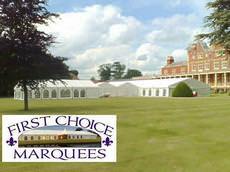 We are a well-established company with a good range of marquees, furniture, lighting and accessories. From the moment you contact us you will be assured that we recognise that each event is as individual and important to us as, it is to you. We will be happy to discus your ideas, themes, colour schemes and requirements in detail. Established in 1992 and still going strong, D&D Marquee, your local family run business, with an outstanding reputation for quality and service. 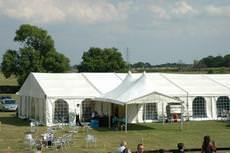 Danco Marquee Hire provide marquees for large scale events Nationwide including corporate events, large scale parties, horticultural, agricultural, equine and sporting events, temporary storage & warehousing marquees. DME was founded in 2000 and has since grown into a large company supplying London, Essex, Kent and the South East with Marquees and event services. 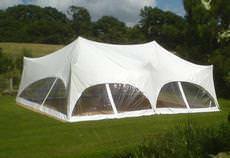 Based in Bournemouth, we specialise in small to medium sized marquees for weddings, parties and events in the South West. Our marquees are all free-standing on a Clearspan system without the need for guy ropes. Charlesworth have the largest range of new marquees for hire in SE England & all surrounding areas including Surrey, Hampshire, Berkshire, Sussex and London. 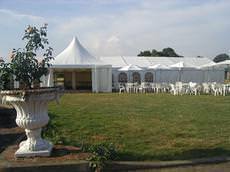 Eventsi Ltd has been supplying marquees for weddings, civil partnership celebrations, parties and corporate events throughout the Midlands for many years. 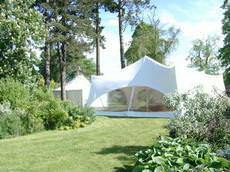 Exeter Marquees is an enthusiastic and motivated company, based on the outskirts of Exeter. 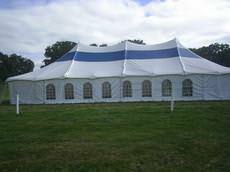 We provide a comprehensive range of high quality marquees for hire throughout the South West of England. 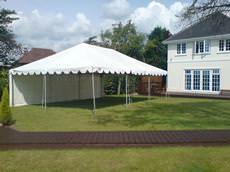 If hiring a marquee to be erected in or around Bristol would solve your space or location problem, then contact Field and Lawn. 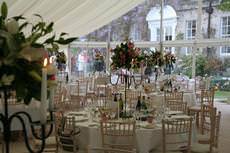 Reshape your big day with the award winning Cornish company that's reshaping marquees. Stunning bespoke spaces from 500 to over 3000 square feet, catering for up to 290 seated guests. 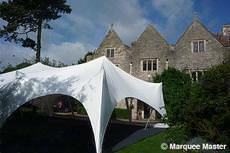 Global Marquee Hire have been supplying marquees to Wedding Receptions, Shows, Corporate Events, Family Occasions and Parties throughout the West Country and beyond for 8 years. 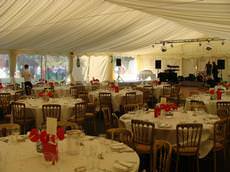 Based in Oxfordshire Good Events marquee and event equipment hire specialise in supplying the finest marquee and event equipment available all year round. 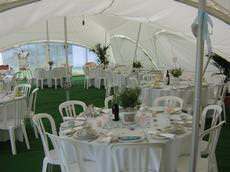 We specialise in the highest quality Nationwide Marquee Hire for Weddings, Private Functions and Corporate Hospitality. 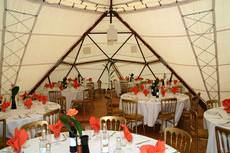 If you have the space, a marquee can provide a venue which is built for you alone. 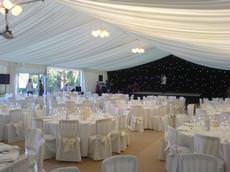 We are a friendly and professional team that provide a quality marquee hiring service. 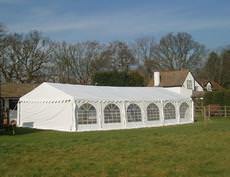 We have a range of different sized marquees available for any occasion. Hector's Haus are a small friendly company based in South London. A modern design classic already - the geometry of the aluminium frame makes them much stronger and lighter than their dinosaur predecessors. 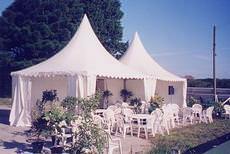 Hine Marquees specialise in providing marquee hire solutions to Plymouth, Devon and Cornwall. 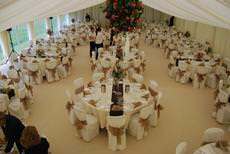 Hine Marquees have over 20 years experience supplying wedding marquees, garden marquees, party tents and corporate marquees. 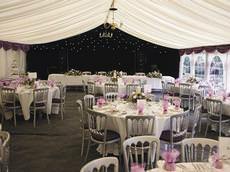 Holmes Chapel Marquee Hire Ltd is based in central Cheshire and serves the North West area. 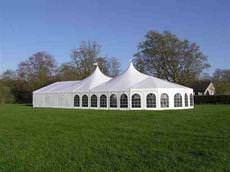 We can supply any size of marquee from small to large, providing an efficient service with attention to detail while doing so. From an intimate dinner party for sixteen to a large wedding party and everything in between, Imaginations Event Services has everything you need to make your occasion truly memorable for you and your guests. 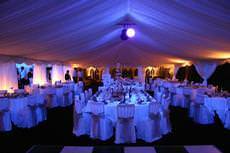 We are a marquee hire company based in Lowestoft, Suffolk. 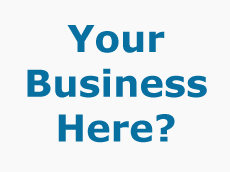 The business has been running since 1983 and we work all over Norfolk, Suffolk and East Anglia. 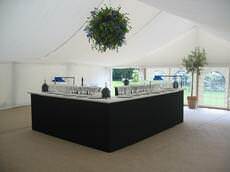 We have the contemporary and funky Capri marquees that are suitable for a whole spectrum of occasions!! From small to large party celebrations to the more informal Wedding and Corporate events. Kingdom Marquees is a rapidly growing and popular family run business that go to great lengths to ensure attention to detail and customer satisfaction. 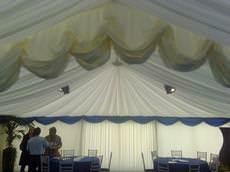 Leicester Marquee Hire offer complete event management facilities marquee hire for every Occasion. We cover any type of outdoor event and offer a friendly, personal service. 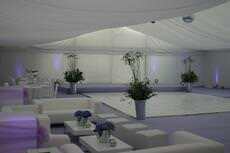 As Manchester Marquees we are on time always and most definitely always within budget. There are no hidden extras, no vat to pay and we are here to make your event an occasion to remember. 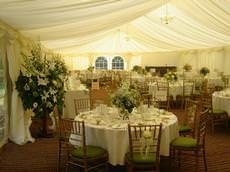 Abinger Marquee Hire is a family-run business based in Guildford, Surrey. 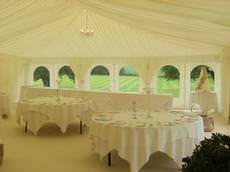 During the past twenty years Abinger Marquee Hire has grown to become one of the south-east's leading suppliers of marquees and tents. 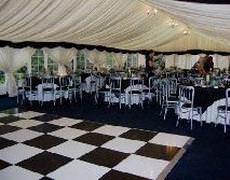 Kingswood Marquee Hire is a family run business that has both the expertise and experience to cope with almost any marquee requirement, be it a wedding, a birthday party or a special occasion for 2000 guests. 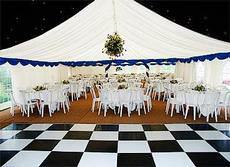 Marquee Master is a marquee hire company specialising in festivals, parties and weddings. Based In Bristol and servicing the South and South West of the UK, Marquee Master aims to deliver high standards. 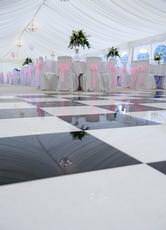 Marquee Vision provide an excellent marquee hire service to private and corporate clients throughout the South-West region but also as far East as London. 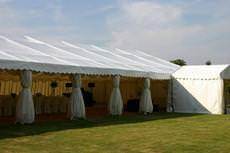 Marquees by Trumps Ltd, is a long established family firm providing quality equipment to Sussex and the surrounding area. 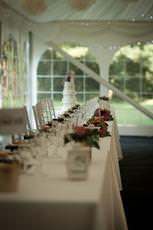 We are very experienced in Marquees and specialise in Wedding and Party set ups. Whatever the occasion, let our dedicated, professional team work with you to create the most special event of your lives. From your initial consultation, through to the design of wedding stationery.we can take care of it all. Welcome to Moray Marquees a newly established exciting family run business with an innovative marquee hire service covering the Morayshire area and beyond. MS Marquees have proved their expertise by providing quality event solutions to the private, corporate and industrial markets at competitive prices for over a decade within the UK. 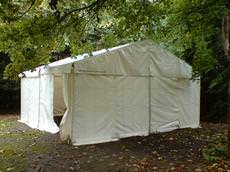 We provide marquee hire throughout the North West. The Capri Marquee design is a unique, modern design that incorporates style with affordability. 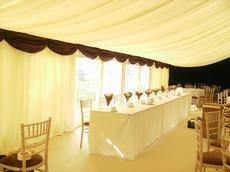 North West Marquee Hire offers the perfect venue for all occasions. Both clearspan and traditional marquees are available to cater for all sizes of event from the smallest private party to the larger weddings and corporate functions. We're a family run marquee hire company based in Dorset and although smaller than many, we work harder and will ensure your event is perfect in every way. 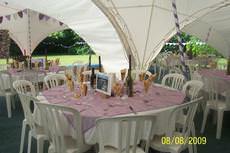 Our two marquees are used for a variety of functions. Olympus Marquees is based in North Northumberland and covers a large area from Wick in the very north of Scotland to the Carlisle area in the North West of England and down to Yorkshire. 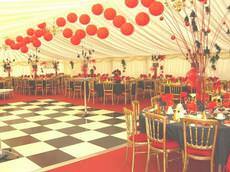 Partee Marquee is the complete marquee hire service, offering top quality marquees at competitive prices. 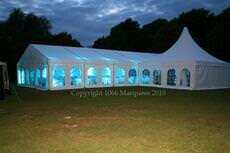 From small weddings to large concerts or even keg hire for your home Partee Marquee will rise to the challenge. Pearl Marquees offer high quality marquees for weddings, parties, corporate events and all types of outdoor events at affordable prices. We offer end to end solutions for your event. 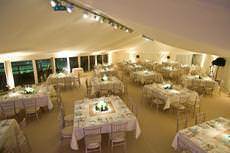 Peninsula Marquees is a modern, professional company specialising in marquee and equipment hire for weddings, corporate events and parties. 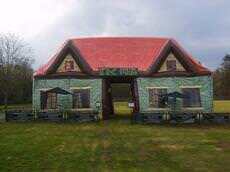 The inflatable pub is a unique way to advertise your brand whilst leaving a lasting impression on your guests. The inflatable pub can be hired or bought for individual use or for company use. 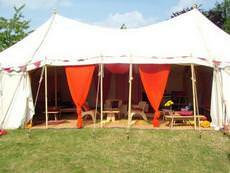 We are a marquee hire company specialising in traditional canvas pole marquees. Every marquee is beautifully decorated with one of our unique themes. 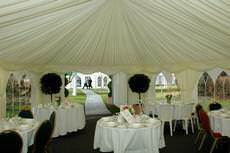 We are a very affordable Marquee Hire Firm Established over 30 years with many regular customers (whom we look after very well). They just keep coming back year after year! 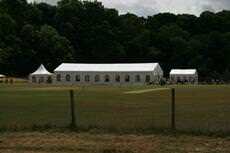 Based in Plymouth, we operate across Devon and Cornwall supplying marquees and tents for spectacular events. 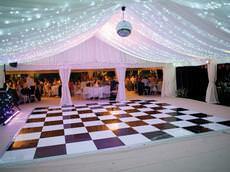 Really Good Marquees offer a Modern eye-catching and alternative style of marquee. 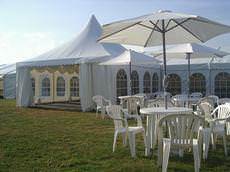 Over the last five years Rent a Party Tent has specialised in supplying Marquee solutions throughout Suffolk and Essex for smaller events and parties. 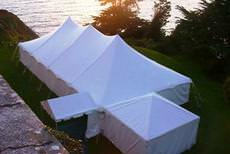 Sherwood Marquees is a friendly local family company dedicated to high quality customer service and competitive pricing. 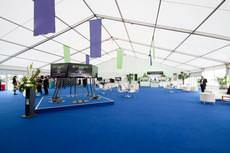 Marquees can be stand alone, be linked or modular to suit your available space and existing buildings. Well established and renowned for its attention to detail, Simon Florey & Son offers marquee, furniture and lighting hire to produce stunning solutions for all event types. Simon Florey & Son is renowned for its attention to detail, Simon Florey & Son offers marquee, furniture and lighting hire to produce stunning solutions for all event types. 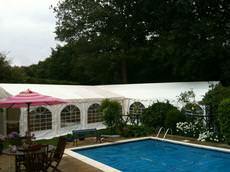 Sky Marquees are united in providing a first class service to customers in Berkshire and surrounding areas. Established in 1998 we have over ten years experience Of the event and party industry. 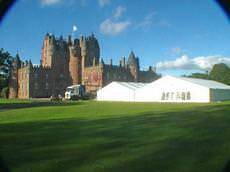 South Cheshire Marquees is a family run business supplying marquees all over the Midlands and North-West. We have over 20 years of experience in the event industry, mostly specialising in wedding. Strawberry Fayre Marquees endeavour to meet the customers marquee requirements to guarantee that every event is a success. 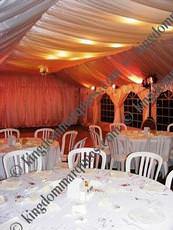 We are a family run business, specializing in the hiring of marquees. The Ethos of Sussex Marquees is to be different from the rest, giving the client help and inspiration to create an unforgettable celebration. 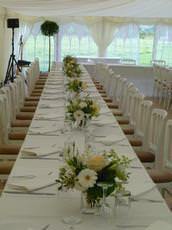 From Weddings to Garden parties each event can be tailored to your exact needs. T&L Marquee Hire are a family run business with over 10 years experience in the wedding and party scene. 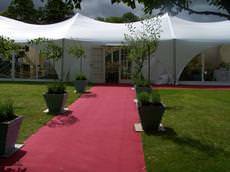 We offer high quality luxury marquees tailored to your specific requirements. Whatever the event, from a small informal garden party to a major corporate exhibition, Trevor Page Marquees applies the same personal sevice to all our clients, large or small. 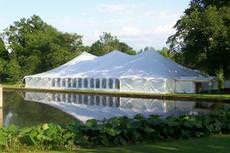 Universal Marquees is a family owned and run marquee hire company. We provide marquees for all ranges of events, such as Wedding Marquees, Private Parties, Corporate Marquees and much more. Your Marquee is a Yorkshire-based full service event solutions provider with over 10 years combined experience in the marquee hire and wider events industry. At Your Marquee we pride ourselves on putting our customers first. 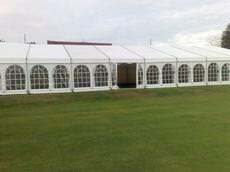 Hiring a marquee has become popular amongst those that want to create a unique environment and atmosphere for their event. Marquees are used for all sorts of events, from dinner parties and get togethers to birthday parties and wedding receptions. 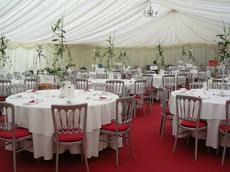 Below are some frequently asked questions that may help you with your marquee hire. How do I work out what size marquee I need? 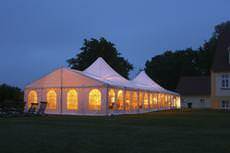 You will find marquees in a range of sizes designed to cater for different events and party sizes. In order to determine what size marquee to go for you need to work out how many guests will be coming, whether guests will be seated or standing, whether you will want a dance floor/space, and any additional space you may need such as space for a DJ or stage, etc. Once you have worked all of this out you can provide the details to the company you are hiring from and they will be able to tell you the marquee size that can accommodate your needs. 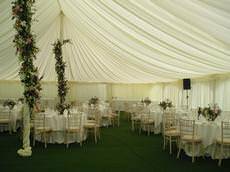 The cost of the marquee hire will vary depending on the company you use, the size of marquee that you need, and whether you want extras included. You should look at the different options available in order to determine which will offer you best value for money. 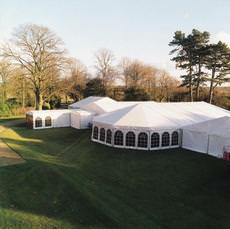 For example, you may find that it is more financially viable to hire a marquee with all the trimmings rather than hire a simple one and pay for the trimmings yourself. Can I use a marquee in bad weather? Marquees from reputable providers will be up to specified standards, and this means that they are designed to withstand all sorts of weather conditions. Of course, there is no accounting for the weather in the UK so if you do hear that there are due to be 100mph winds on the day of your event it might be best to contact the marquee provider and check! 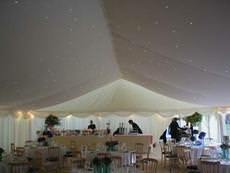 If the weather is cold the marquee provider will often provide heating that is located just outside for safety reasons. During rainy seasons it is best to opt for a hard floor to ensure dryness. 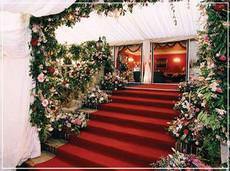 Do marquee providers offer a full service? Some marquee providers will offer a range of services to ensure that your event goes with a bang. This can be everything from the marquee itself, decor, lighting, and heating through to disco and music, catering, entertainment, and even staff to pander to your guests' every need. How much notice do I need to give to book a marquee? 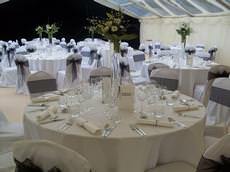 It is best to always give as much notice as possible if you wish to book a marquee. Do bear in mind that marquees are hired out far more often during the spring and summer than they are in the autumn and winter, so if you are booking a summer event give as much notice as you can. 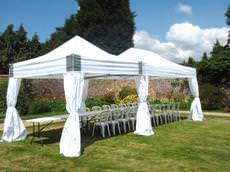 This will ensure that you can get a marquee of the size that you require on the date that you need it.